Weekend poll: At what point does an app cost too much? I've noticed that there are two kinds of people, generally speaking, when it comes to app purchases. Those that consider a couple bucks towards a new app no big deal, and those that wait until the last minute, if ever, to drop a few dollars on a "Pro" version or IAP for a full app. Personally, I jump at the chance to disable ads, add additional features, and support independent developers. But, even I can acknowledge that it depends on how much an app costs. Spending a quick buck on a new app is no big deal, but I've got a psychological barrier somewhere around $3 where an impulse purchase suddenly becomes worth deliberating. What about you? It's tough to compare app costs, but generally speaking, how much is too much for an app? We know, it's probably not a fair question. Apps come in all shapes, sizes, and degrees of usefulness. Comparing the cost of something like a big AAA game with a to-do list isn't fair, so let's narrow the playing field. 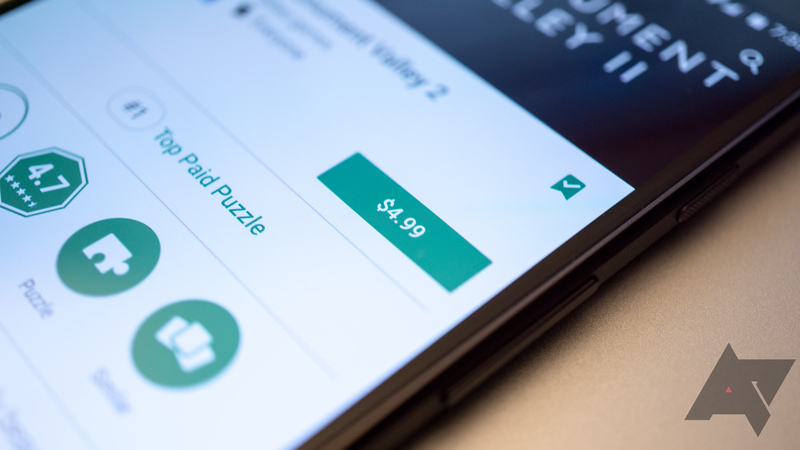 When you hear about a new app on the Play Store via an outlet like ours—like a simple mobile game, a general purpose utility, a to-do list or calendar, that sort of thing—when does the cost become something that needs convincing (in USD, please)? At what point does an app cost too much?